Caregiving for an individual experiencing Alzheimer’s Disease or a related dementia is a major commitment; a commitment characterized by a constellation of emotions, every one of which is valid and normal. One might expect to feel sad, depressed, and helpless. Anger, guilt, confusion, and emotional exhaustion are also feelings a caregiver might very well experience. Sometimes a caregiver might feel bombarded by more than one or even all of the emotions at once, unable to identify the root of the whole mess. The emotional experience of caregiving is a major contributing factor to caregiver stress. Caregivers who don’t also take care of themselves often fall ill and may even die before their care recipient. Coping with the emotions associated with caregiving is not always easy but is essential to any caregiver self-care (survival) plan. Avoid burnout and exhaustion by making some time to get away from the caregiving. Caregivers who take some time for self-care are more likely to find joyful interludes in the caregiving. You will find yourself more aware of the small victories; those slices of time when you can sense the connection with the person your care recipient was and still is, now locked inside him/herself. Among the most difficult emotions to manage is guilt. The fact is, no matter how knowledgeable or experienced the caregiver is, one person cannot do it all. And, nobody will get caregiving 100% right 100% of the time. Nothing you, or any other family member could have done would have prevented this disease from taking your loved one. So, ditch the guilt. It will only serve to diminish your energy. Take a practical, honest look at your strengths and your limitations. Set some boundaries for yourself. Ask for help. Sometimes other family members and good friends are just waiting to be told what is needed. Professional help is also available and not all of it costs an arm and a leg. Anger is another of the emotions one might not expect to feel and it can contribute to guilt because caregivers may think they should not be angry. Anger is so very normal. If you are primary caregiver of an individual with Alzheimer’s Disease or a related dementia, let’s face it, your life has changed dramatically as a result of you assuming the caregiver role. Anger at the loss of “life as you knew it” is a valid emotion. In your head you know your care recipient cannot be held responsible for the changes in your life. 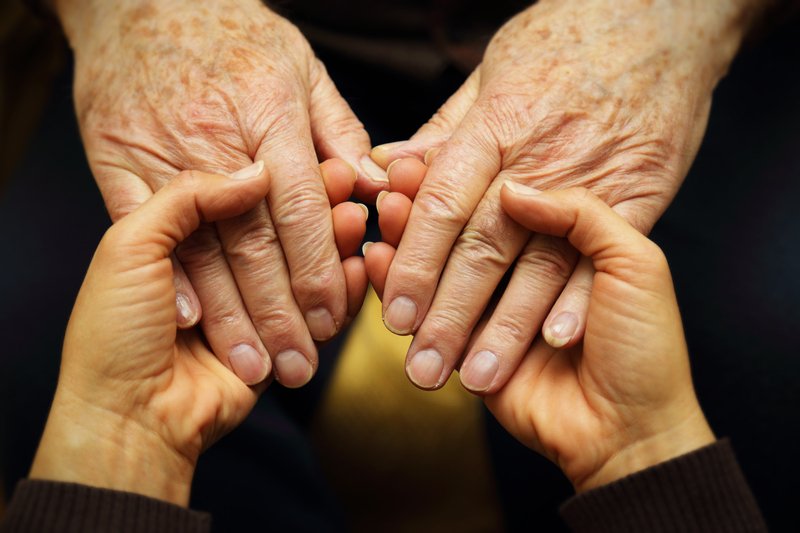 Times occur, however, when caregivers really feel the need to hold someone responsible. Also is the anger at the situation, a situation that you have little power to change without backing away from your self-appointed responsibilities. A support group, a good friend, a knowledgeable counselor, a member of the clergy trained in counseling; any one or combination of these resources can serve as sounding boards, a way to unload and unleash the anger without doing harm. The anger must be expressed, acknowledged, validated, and let go in ways that offer relief without anybody being a direct target of the tirade. The guilt, the anger, along with the more expected sadness, depression, and feelings of helplessness are all actually manifestations of the grief one likely feels as the care recipient progressively loses their connection with the world in which they live. ……………. described a model of grief for spouses and adult children caring for individuals with a dementing illness. This model of grief recognizes grief for the losses experienced throughout the experience of caring for an individual with Alzheimer’s Disease or related dementia (the loss of the relationship as it once had been). At some point in the caregiving process, caregivers will likely experience anticipatory grief, the grief that occurs when physical death is the expected prognosis. And then, there is the final grief at the time of the care recipient’s physical death. The caregiver may experience very mixed emotions at this time, sadness tinged with a bit of relief that suffering has ended. Caregivers must acknowledge and allow all the mixed feelings to come to the surface in order to be able to let go of them. Counseling or a support group can be helpful to caregivers having difficulty with this process. The most important quality to seek out in help with the leftover soup of emotions simmering around inside of you is that of a good listener who will validate your feelings without telling you what to do or how soon you must “move on” with life.